There have been 366 alleged war crimes in Yemen but only 79 investigations by the Saudi-led coalition and the Ministry of Defence (MoD) has conducted no inquiries of its own, we can reveal. A reply by the MoD to questions submitted under freedom of information law also revealed the UK government does not know how many investigations are ongoing, or whether any incidents involved smart bombs using laser guided missiles made in Scotland. The UK government has faced criticism and legal challenges over its arms sales to Saudi Arabia but ministers have defended lucrative contracts with the Saudis by insisting it has “one of the most robust export control regimes in the world”. The Department for International Trade, which sanctions export licences for arms sales, has repeatedly said that “risks around human rights abuses are a key part of its licensing assessment”. But our revelations have called this into question and prompted fierce criticism of the UK government by politicians, human rights groups, and charities working on the ground in Yemen who are trying to cope with a humanitarian catastrophe. The SNP said the number of alleged war crimes was “incredibly concerning” and called for end to arms sales while Amnesty International said the figures “make an absolute mockery of the government’s claim it has a ‘robust’ system for exporting arms”. The MoD said the number of alleged violations of international humanitarian law listed on a “tracker” database was 381. Of these, 15 were duplicate entries, which means some alleged incidents were recorded on more than one occasion. The MoD also said it does not have access to all the information required to assess whether war crimes have been committed, pointing out that investigations are conducted by the Saudi-led coalition’s Joint Incident Assessment Team (JIAT). A damning report by Human Rights Watch in August accused the JIAT of failing to “provide credible, impartial, and transparent investigations into alleged coalition laws-of-war violations”. Others, including the UN Panel of Experts, Amnesty International, and Médecins Sans Frontières (Doctors Without Borders), have reached similar conclusions about JIAT’s failings. Since Yemen’s war escalated in 2015, the Saudi-led coalition has been accused of targeting schools, hospitals and civilian areas with airstrikes, prompting widespread criticism. Meanwhile, a new report said that air raids have intensified this month. 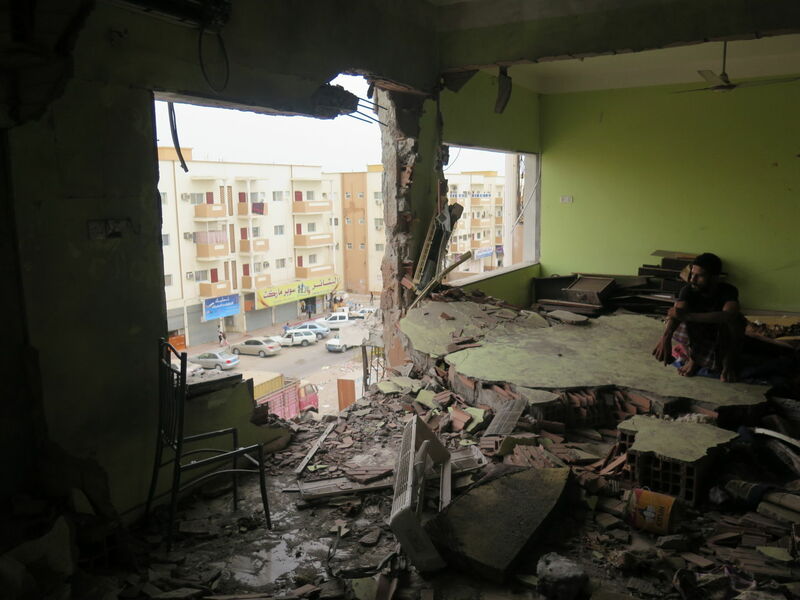 Of 42 air raids monitored by the Yemen Data Project, 62 per cent hit civilian targets. The SNP’s Westminster leader, Ian Blackford MP, said the Saudi-led coalition’s JIAT “does not carry any legitimacy”. He described the revelations of hundreds of alleged violations of international humanitarian law in Yemen as “incredibly concerning”. He added: “It is even more worrying that the MoD is unaware of how many have been have been investigated. There must be a full and independent UN-led investigation into all violations in the conflict to ensure that all sides are held to account. “The UK government is not a mere bystander in the war, it is an active player. Despite the mounting evidence of breaches in international law, the UK government is still content on looking the other way, whilst simultaneously supplying arms and military advice to the Saudi government. The sale of arms to the Saudi government must end now. Oliver Sprague, Amnesty International UK’s arms expert, said: “These figures make an absolute mockery of the government’s claim that the UK has a ‘robust’ system for exporting arms. “With the MoD not even trying to investigate Coalition airstrikes and the UK relying on implausible Saudi assurances and the Coalition’s own woefully slow and deeply-flawed investigations, it’s clear that ministers have no reasonable means of assessing the risk that UK arms exported to Saudi Arabia will end up killing civilians in Yemen. Ross Greer MSP, international relations spokesperson for the Scottish Greens, said: “That the overwhelming majority of their suspected crimes are not even being investigated has not slowed the UK government down in continuing the supply of arms, as well as logistical and political support for the Saudi regime. Kristine Beckerle of Human Rights Watch said: “The UK claiming arms can still be shipped off to Saudi Arabia without a clear risk they will be used unlawfully in Yemen is akin to burying one’s head in the sand. The UN, human rights groups and Yemeni activists have researched, documented and reported on scores of apparently unlawful coalition attacks on markets, hospitals and homes, some likely war crimes, many carried out with Western weapons. A version of this story was published in the Sunday Post on 18 November 2018.